"There´s a skin of the landscape I´m beginning to peel back, and I´m finding a map of sorts in the world around me; a landscape of prayer, creation that cannot help but praise the creator. Symbols in the landscape beckon me further up and deeper in. When I´m on the prairie, the barriers come down." So begins Cindy Crosby´s book of elegant and warm prose. With honesty and friendly wisdom, she observes parallels between the natural world and the inner landscape of prayer, using as a backdrop her own backyard, the tallgrass prairie landscape of Illinois. 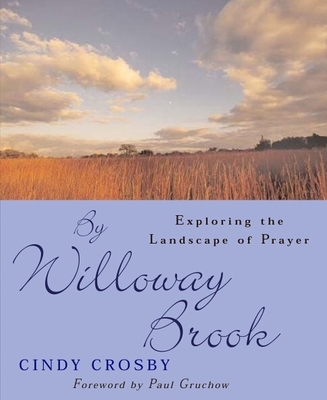 In a time when we are pulled in so many directions by the "busyness" of our lives, By Willoway Brook invites us to stop, carve out a quiet place, and communicate with the God who created it all. Read about By Willoway Brook in the Chicago Sun Times.